For many in Latin America, November 1 and 2nd is a time of celebration of the “Day of the Dead”. 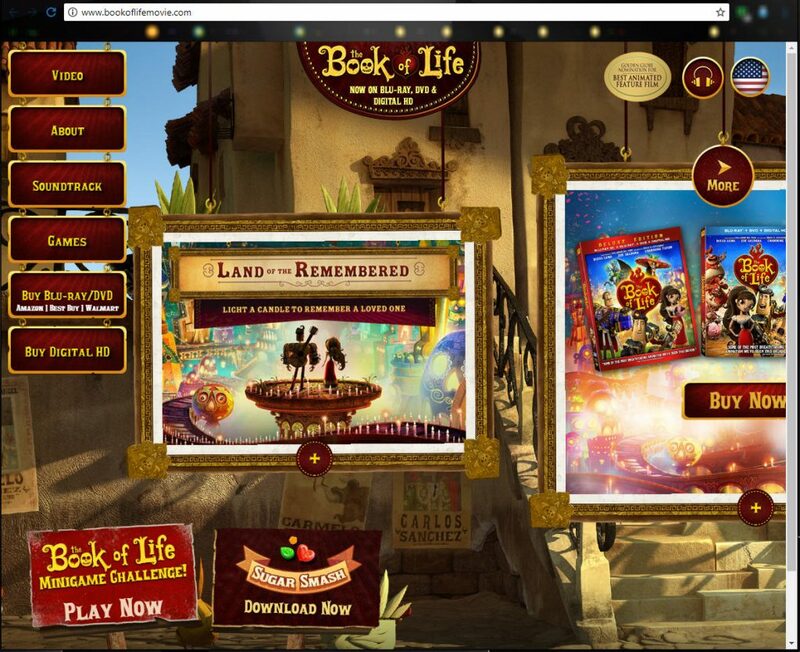 It was also a center point in the plot in the recent movie called “The Book of Life” . While the movie has a strong family message and is entertaining, what is the day of the dead and what does the Bible say? 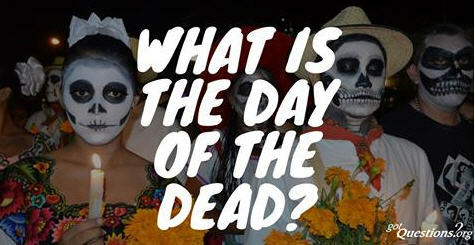 Answer: The Day of the Dead is a holiday celebrated in Mexico and by Latin Americans living in the United States and Canada. The holiday occurs in connection with the Catholic holidays that fall on November 1 and 2, All Saints’ Day and All Souls’ Day. On the Day of the Dead, more accurately called the “cult of the dead,” friends and family members of those who have died gather together to pray for them and bring to their graves the deceased’s favorite foods, often including the traditional “sugar skulls” and the “bread of death.” Private altars honoring the deceased are created, and homage is given to them. Origins of the holiday have been traced back thousands of years to an Aztec festival dedicated to a goddess called Mictecacihuatl. Although many of those who celebrate the Day of the Dead call themselves Christians, there is nothing Christian about such practices. The celebration of the Day of the Dead by pagans is one thing, but for Christians to participate in or condone it is unbiblical, to say the least. We offer this answer in a spirit of gentleness and respect, praying that it may warn others and equip Christians, so that they may be able to reply to those without hope and without Christ in the world (Ephesians 2:12), when they ask us to give a reason for the hope that is within us (1 Peter 3:15). The force that drives people to participate in this unholy event is the false idea that by means of its rituals, they can commune with their dear departed relatives, who are thought to participate in these ceremonies. This is simply not true. Biblically, there is only one more “day” that the unrepentant dead may be certain of anticipating: the day when they will stand before God for final judgment (Revelation 20:11-15). When a soul passes into eternity, it either comes into the blessed presence of the Lord or goes on to await final judgment before being cast into eternal hell. The Bible says that “it is appointed for man to die once, and after that comes judgment” (Hebrews 9:27). This simply and clearly means that, when a person dies, the body disintegrates to dust, but the soul remains conscious in the state it will inhabit for eternity, either damnation in hell or eternal glory with God. In the Gospel of Luke, Jesus taught that God has established an unbridgeable chasm between those who are in heaven and those who are in torment (Luke 16:26). The Greek word translated “fixed” means “to establish or make firm.” Each soul who dies without Christ has lost all hope. The unrepentant dead face an eternity of unspeakable suffering, eternal destruction away from the presence of God and the glory of His power. Jesus Himself said, “And these will go away into eternal punishment, but the righteous into eternal life” (Matthew 25:46). Before they die, the unrepentant enjoy the common grace which God bestows on all people, the evil and the good. They experience the smells, tastes, and sounds of life; they may fall in love and experience other joys which are part of living. But the moment they die without Christ, they are cut off from such common blessings forever. As the passage quoted above teaches, after death comes judgment. Besides the decomposition of the body that follows death (the physical body returns to its constitutive physical elements – “for you are dust, and to dust you shall return” [Genesis 3:19]), any further worldly enterprises end, and there can be no further engagement in the things of life (Ecclesiastes 9:10). The dead have no wisdom to offer those who would consult them on the Day of the Dead, nor are they capable of hearing or responding to prayers offered to them. On the Day of the Dead, each celebrant who invokes the souls of the departed engages in an abominable and utterly pointless sin (Deuteronomy 18:10-12). Only One is worthy and powerful enough to call the dead; He will call these to the resurrection of damnation (John 5: 28-29). Those who have died in Christ are not really dead, since they go immediately into the presence of the Lord; the Bible says they “sleep.” Death is certainly grievous to those who have no hope, being without Christ (1 Thessalonians 4:13); however, we who know the Lord are encouraged by the knowledge that just as Jesus died and rose again, even so, through Jesus, God will bring with Him those who have fallen asleep. For the Lord Jesus Himself “will descend from heaven with a cry of command, with the voice of an archangel, and with the sound of the trumpet of God. And the dead in Christ will rise first. Then we who are alive, who are left, will be caught up together with them in the clouds to meet the Lord in the air, and so we will always be with the Lord” (1 Thessalonians 4:16-18). This is the real truth! God’s Word warns us not to go to spirits and soothsayers in Isaiah 8:19: “Should not a people inquire of their God? Why consult the dead on behalf of the living?” Deuteronomy 18:10-11 tells us that those who consult the dead are “detestable” to the Lord. The fact that UNESCO has declared the Feast Day of the Dead Indian to be a “masterpiece of oral and intangible heritage of humanity” does not alter the fact that, according to biblical standards, Christians must have nothing to do with such myths (1 Timothy 4:7; cf. 1:4). According to UNESCO, the various manifestations of the Day of the Dead are “important representations of the living heritage of America and the world”; however, with all due respect, we must declare the biblical reasons why this traditional commemoration is spiritually harmful and offensive. When any tradition or custom is contrary to God’s will as expressed in His Word, there can be no justification for honoring and preserving it. In fact, those who do are foolishly provoking God’s wrath (2 Chronicles 33:6). As we have already seen, the Bible warns us not to consult with (or make inquiries of) the dead, as is often done on the Day of the Dead. Simply put, God’s people are to separate themselves from such sinful practices as are done on the Day of the Dead and so avoid the wrath to come on those who do them (Revelation 18:4). The primary mission of the church is to reach out to every ethnic group and culture and make disciples, baptizing them and teaching them to observe all that Christ commanded (Matthew 28:19-20), until each member of Christ’s body is conformed to the image of the Lord Jesus (Galatians 4:19). And while we would do well to follow the apostle’s example by becoming all things to all people, so that by all means we might save some, this does not mean we change the message (the gospel). Rather, we humble ourselves and trust that God will use His undiluted Word to bring the blessing of salvation to those outside the faith (1 Corinthians 9:22-23). We do not indulge in creative alteration of the gospel to remove its confrontational aspects, but present it in its purity, although we know this will invariably offend some who may accuse the truthful evangelist of being intolerant. This is not surprising, for the gospel has always been a stumbling block to many. The Day of the Dead stands in contrast to the gospel of the truth found in Scripture. As such, it should be avoided as it is yet another manifestation of the lies of Satan who “prowls around like a roaring lion looking for someone to devour” (1 Peter 5:8). Tagged Book of Life, Book of Life movie, catholic holiday, day of the dead, pagan holiday. Bookmark the permalink.